Hyde de Villaine: One of California’s most prized vineyards, drawn across the Napa and Sonoma Valleys. It took time and a lot of persuasion but, finally, common sense prevailed when two great vinous dynasties formed an allegiance with the aim of making great wine together. 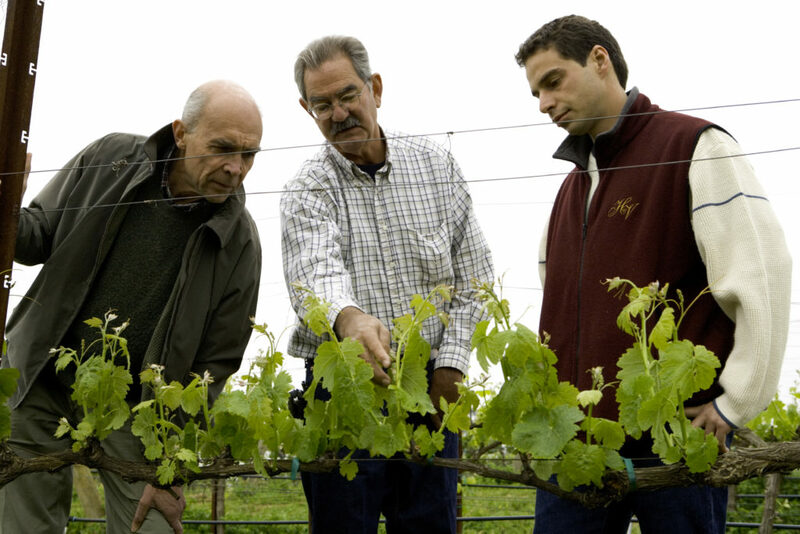 Hyde de Villaine (HdV) brings together the Hyde family, represented by renowned Californian viticulturist Larry Hyde and the de Villaines. Pamela and Aubert de Villaine pioneered their own Domaine de Villaine in Bouzeron and of course Aubert is best known for Domaine de la Romanée-Conti in Vosne-Romanée. Pamela is key to the original partnership. She is Larry Hyde’s cousin. Together Aubert and Larry aim to produce wines which have a sense of place, proudly Californian certainly but offering elegance over muscle; Vins de soif, as my colleague Guy Seddon coined them last year. 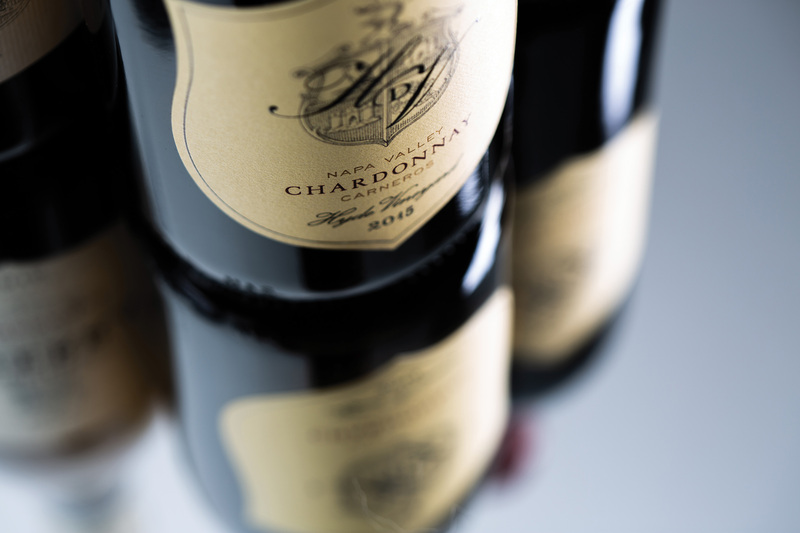 These are wines which, in the best French tradition, offer layers of subtlety and complexity. They demand engaging the brain and yet are by no means overly intellectualised. They rather gregariously present and celebrate Carneros as a sub-region, too often submerged in all that is Napa. These wines, this region and its eclectic terroirs, allied to the remarkable skills exercised in growing optimal grapes and translating them into the best possible wine, warrants much greater attention. Times are changing at the estate with Larry’s son Chris Hyde, working alongside his father as Director of Viticulture at Hyde de Villaine. Guillaume Boudet had worked alongside winemaker Stéphane Vivier and took over the reins in 2015, working closely with Larry and Chris Hyde in the field and reporting to Aubert de Villaine on winemaking matters. Stéphane continues as consultant. Having studied winemaking and viticulture in Bordeaux, Guillaume brings another region’s perspective to the team. James Eyer, hugely experienced in the wine industry himself, is tasked with overseeing this talented team, as general manager. The future is assured. Carneros, also known as Los Carneros, bridges the southern end of both the Napa and Sonoma counties and as such benefits from the warmth from the north and access to the cooling influences of the misty Pacific ocean via San Pablo Bay. Carneros has, in fact a very long viticultural history although, as with most regions, Phylloxera decimated the vineyards here in the late 1900s and Prohibition prevented anything but gradual recovery. After repeal, progress was slow but, by the 1970s, there was growing recognition of a typicity of style and in the 1980s planting accelerated, with many of the big Napa players becoming involved. Carneros rests in the low hills of the Macayamas mountains, the greater part lying in Sonoma, the smaller in Napa. 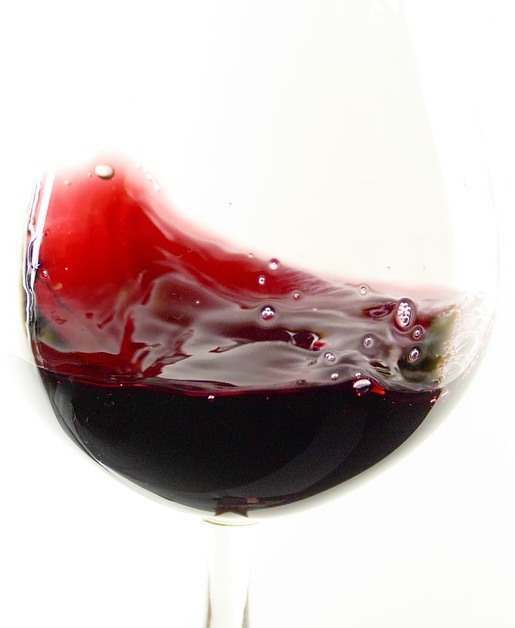 The wines can equally carry Sonoma or Napa AVA status. The proximity to San Pablo Bay is the dominant factor in the distinctive microclimate, the fogs and coastal breezes, channelled through the Petaluma Gap, providing cooler temperatures. This more temperate environment allows for a prolonged growing season, ideal for full phenolic maturation, intensity and balance. Carneros won AVA status in 1983 (American Viticultural Area) – the system by which the US designates viticultural regions. The wines in this release are from a near-contiguous series of plots on gently rolling hills, facing southeast. The Chardonnay, which accounts for the majority, and the Syrah are planted on shallow, loamy soils over ancient alluvial terraces and impenetrable clay. The Merlot and Cabernet vines tend to be planted at the northern end of the vineyard, further away from the bay and the cooling fog it induces, the better to ripen. The soils are deeper here too and the south-east slopes, steeper. The Pinot Noir for Ysabel, comes from the Van der Kamp vineyard. The temperate Carneros climate prolongs the growing season, allowing the vines to take advantage of their geological sites, gaining intensity and complexity whilst retaining optimal balance. Rainfall is less than in the surrounding areas and drainage is helped by ancient creek beds which lie between the topsoil and the clay pan. Enough moisture is retained to avoid irrigation, in all but truly adverse conditions. The vineyards are farmed as naturally as possible to encourage healthy, living soils, avoiding compaction and encouraging a richly diverse microbial ecosystem. Instead of the more standard approach, using pesticides, specific flowers are seeded which attract the natural predators of harmful pests and the natural habitats for owls, hawks and wasps are safeguarded as they too provide a natural protection. Similarly, ploughing and natural compost replace herbicides and fertilisers respectively. This is sustainable agriculture taken very seriously, borne of the families’ keen sense of their responsibilities to past and future generations. The rationale for this approach, ensuring vines healthy enough to offset unwanted pressures, was strengthened during an unprecedented 5 year drought. Several clones of each grape variety are planted in order to increase complexity. 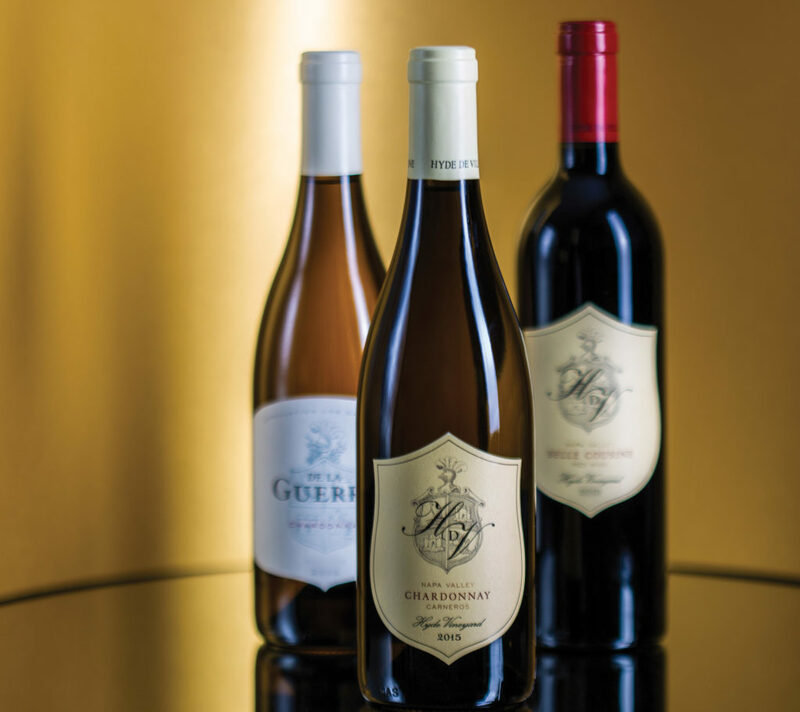 There are four different selections of Chardonnay and Syrah, three selections of Merlot and one selection of Cabernet Sauvignon. during the élevage. He favours minimal intervention and judicious use of oak – all to ensure that the personality of the vineyard shines through in the finished wines – a philosophy which draws strength from Aubert’s own reputation in this key area. Corney & Barrow has been fortunate in being exclusive UK agent for Hyde de Villaine since 2010, and we proud to offer our release of the 2014,2015 and 2016 vintages. Find out more here.